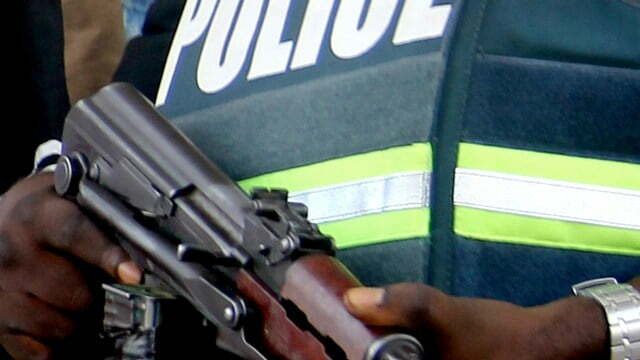 Officers of the Nigeria Police allegedly operating under the instructions of the Commissioner of police in Benue State, CP Gwana has ordered staff of the Benue State House of Assembly to vacate the complex. The Clerk of the Assembly, Dr. Tor Agena, who made this known to newsmen Monday after, claimed heavily armed security personnel asked every staff working within the assembly complex to vacate with immediate effect. Agena said he contacted the Police Commissioner, who confirmed the development, claiming that he was acting on “orders from above”. He noted that the Police Commissioner could not give reasons for his action, neither did he state the duration for the vacation. The Clerk while calling on President Muhammadu Buhari to direct the Inspector General of Police to withdraw his men from the premises of the State Assembly, also acknowledged the negative impact of the ouster on legislative activities in the state. He said the action was one harassment too many, adding that for two weeks now, staff of the Assembly have not been allowed to do their work smoothly. Commenting on the ugly situation, Special Adviser to the Governor on security matters, Colonel Paul Hembah (retired), confirmed the development, saying he had also contacted the Police Commissioner who said that his action was based on orders from above. He noted that when pestered further on the plight of the civil servants in the Assembly, Mr. Gwana promised to contact superior authorities for clarification and the next line of action. Meanwhile, several calls to the state police PRO, Moses Yamu, ASP were not responded at the time of this report.